Ronnie Limborg was born in Katanga the ex Belgian Congo. He has lived and worked for many years in Africa and understands the people of the continent. An experienced and passionate skydiver, 4 time large formation World Record Holder with World Team, Ronnie jumps mostly in Europe and knows the skydiving population there well. Having lived between the two continents for many years, Ronnie discovered the Kenya Skydivers Club, which organized a really nice annual boogie with a Cessna 206 and a dozen skydivers. 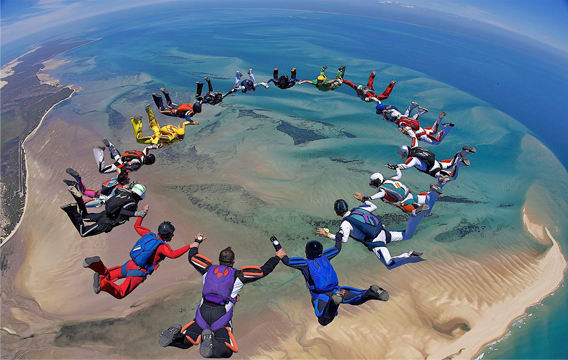 Ronnie had a desire to bring a group of European skydivers to Kenya to help them discover for themselves the white sandy beaches of the country. That was in 1995. With members of the Kenya Skydivers Club, Ronnie shared his knowledge of how European and American boogies work. Thus, with a Twin Otter, load organizers, a video team and landings on the beach outside the hotel after each jump, the Kenya boogie spread his reputation and Ronnie, his band of Europeans plus some others continued until 2004. From a small group of six people in 1995, Ronnie increased the organization climaxing in 2004 with 150 people participating in this famous African boogie. After almost 10 successful years in Kenya, we had to change. Ronnie discovered paradise, a beautiful and wild island off the coast of Mozambique: Bazaruto Island. 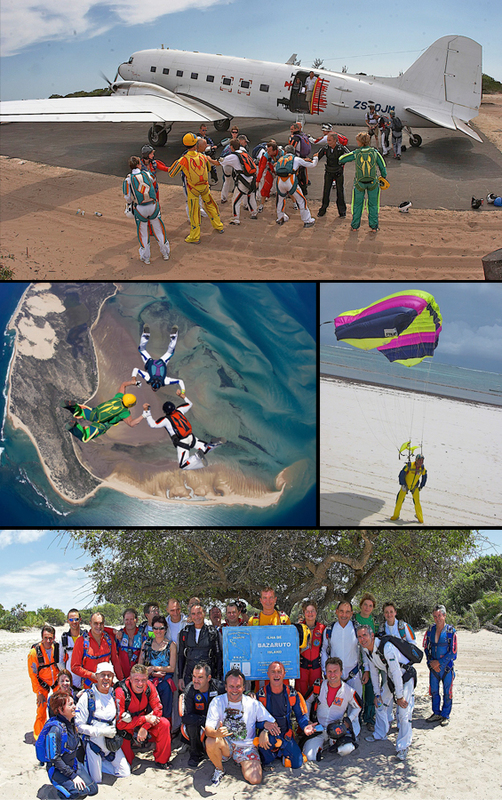 Surrounded by secluded beaches and large sand bars, Bazaruto offered the most beautiful scenery imaginable for a skydiver. Between 2005 and 2009, three editions of Mozambique Beaches Boogie were organized on the island of Bazaruto. The first boogie on this dream island took place with a turbine DC3, a tremendous achievement for Ronnie and the organization. Because of the three editions of the Mozambique Beach Boogie, a total of about 300 people have discovered this gem from the sky. 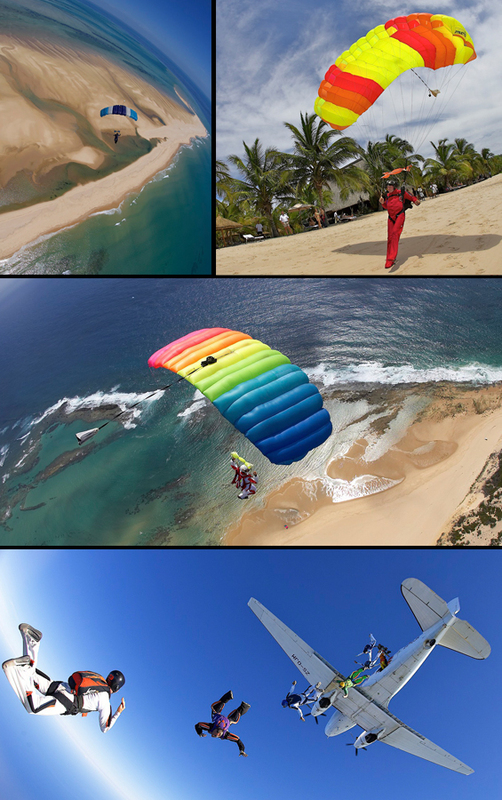 Internationally renowned load organizer, Patrick PASSE said: "Throughout my skydiving career, I have had the chance to jump in extraordinary locations such as Polynesia, Hawaii, Thailand and Kenya, but Bazaruto is certainly the most wonderful place I have ever known! ". Drawing on their experiences in Kenya, Mozambique and The Gambia, Ronnie and Patrick understand the ingredients necessary to organize the best kind of African boogie. And it is in Tanzania on the magic island of Zanzibar that they will give you that opportunity in November 2018 !